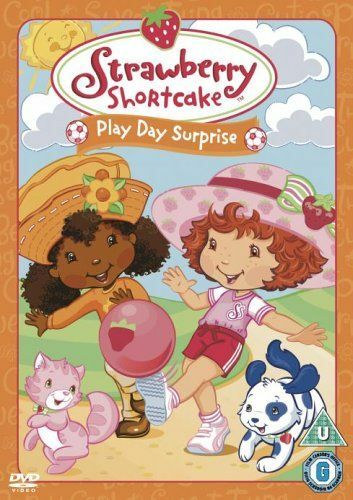 Set in magical Strawberry Land, 'Play Day Surprise' sees Strawberry Shortcake and her friends having lots of fun. First, during a ball game, when things don't go Angel Cake's way, she decides to take her ball and go home. Thinking fast, Strawberry & Apple Dumplin' teach Angel that the fun of sports is to have fun! Then, Peppermint Fizz is so determined to win the Nearly Once-A-Yearly Strawberry Games, she cheats. But, when Apple Dumplin' beats her in a race, Peppermint learns that it's not whether you win or lose, but how you play the game that matters.